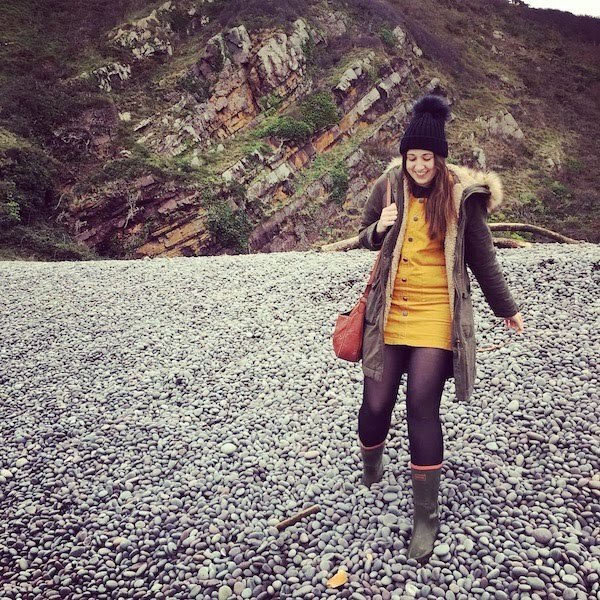 Today I thought I'd show you some of my latest jewellery finds! Although I do make jewellery myself, I still love picking up affordable pieces on the high street. All of these pieces are £10.00 and under - I definitely managed to pick up some bargains! The Primark pearls are so adorable and for £1.00 you can't go wrong. You get ten beaded bracelets, all of which compliment each other. In the day I tend to just wear a couple, but if I'm going out I'll put a good few on my wrist, if not all ten! I've wanted a midi ring for so long but I always find that shops run out of the small sizes quickly or they charge ridiculous amounts for a piece of metal. However when I popped into the River Island store in Nottingham I found these cute midi rings for just £2.00 and they fit perfectly. The initial necklace is one of my most-worn pieces. Funnily enough it actually had a gold colour to it when I first purchased it, but it soon faded to the silver colour it is now. I love simple, cute jewellery like this. You can still pick these up in Tesco. I found them buy the clothing section. My fresh water pearl earrings are my absolute favourites. I picked them up in a little boutique (which I can't remember the name of) when I visited Barnstaple during the summer. They have little silver gem studs with fresh water pearl heart beads that drop down. They're adorable, I love them. I picked up this gorgeous statement necklace spontaneously on a quick run to New Look. I was going out that weekend and wanted a way of making my dress look a little more, well, dressy! It worked a treat. I love that it has a slight rose gold tint to it. I've got a confession to make...I'm a little addicted to buying vintage style boxes from T K Maxx. They're just so beautiful. I've got to the point though where I've not got anything to put in them haha. I'm just using them as display pieces now! 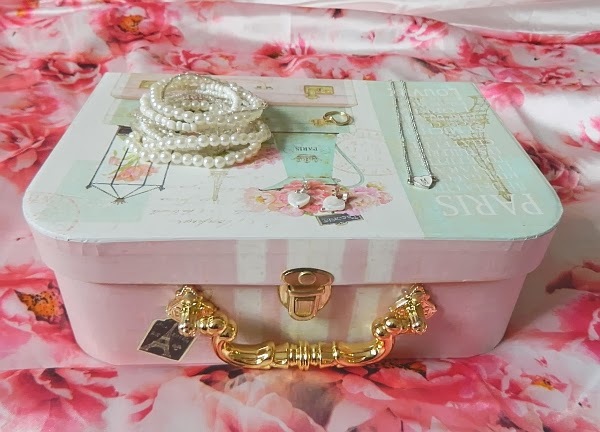 This beautiful suitcase has a pretty pink Parisian design and was just £3.99! 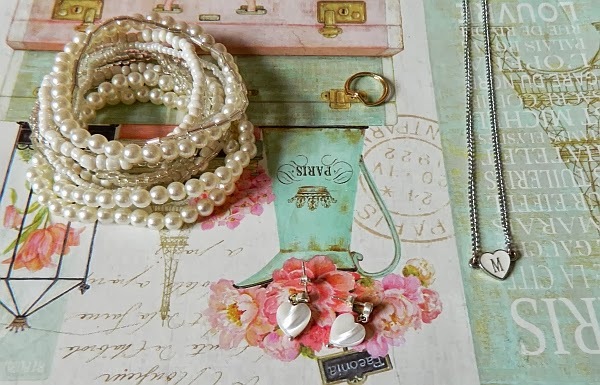 I love all your finds here :D the earrings are probably my favourites and the statement necklace is probably what I'd be least likely to wear as I don't really wear gold but everything is so cute :) will definitely have to invest in some of those pearl bracelets when I'm next in the UK! And I have TK Maxx vintage boxes too :D my vice was always photo frames though! I love your photography, really pretty! 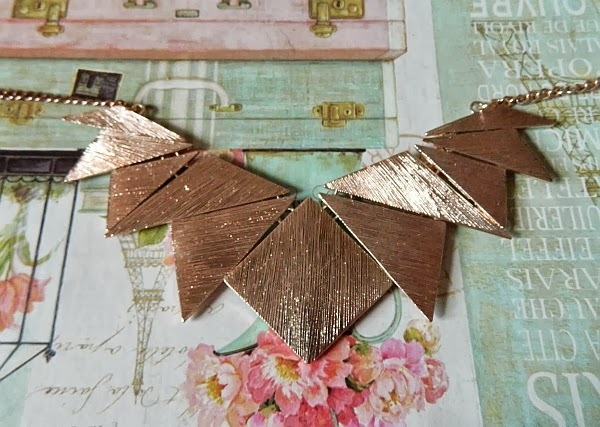 Also great finds, especially loving your statement necklace. 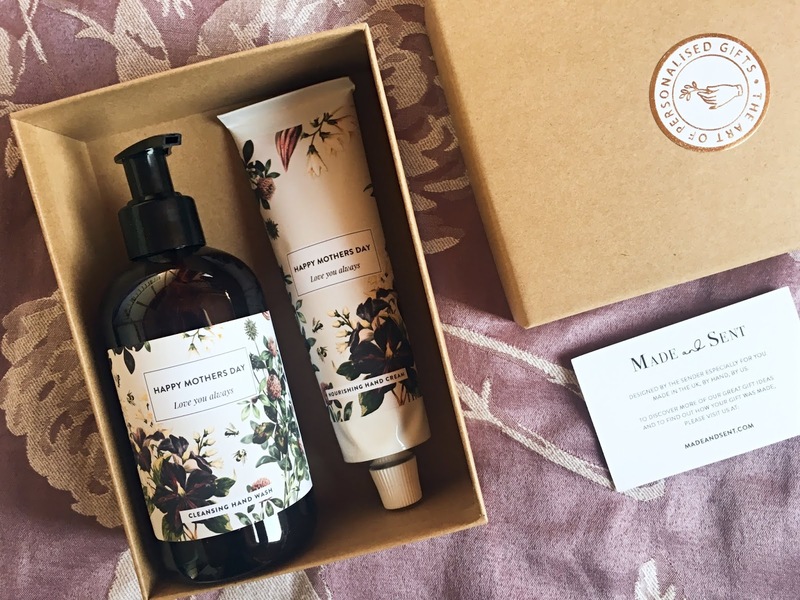 such lovely, lovely items! i adore the bracelets here! The statement necklace is really adorable. Its beauty is really one of a kind. Oh! I simply love it. And I am pretty sure any other girls would surely love to wear it too.